The Politics of "Parks and Rec"
favorit "Parks and Recreation" ship? Does anyone else remember Ron's wife, Diane (Lucy Lawless) was Xena? favorit pairing that never happened? Who is the most annoying out of the following? I'm looking for the name of an event Leslie planned but all I know is that it was something like 'ultra-mega-something-something-palooza' I'm so sorry but I really need to know what it was called and I have ZERO info to go on. Does anyone know when Season 2 starts? Ben and Leslie's wedding was my least favorit wedding on parks and rec. I hated it because it was out of the blue and quick. anda might say that Andy and April's atau Ron and Diane's weddings were the same, but Ben and Leslie's wedding was at least planned. At least Andy and April's was not one bit planned and that added a bit of excitement. I was also really looking meneruskan, ke depan to having some people reunite, like Mark. Don't get me wrong, I loved that they got married, but I would have liked it in a better way. Funko Pop!s of the gov't-hating Ron Swanson, over-achiever Leslie Knope, shoe-shiner Andy Dwyer, Pawnee’s famous miniature horse Li’l Sebastian, and the dry, sarcastic April Ludgate. Treat yo self! Pics + press release. artikel and daftar (with hadiah & gifs) oleh Isis Madrid for Good.is. The P&R cast tries to explain the entire series in just 30 seconds. Compilation and individual cast members video gallery. 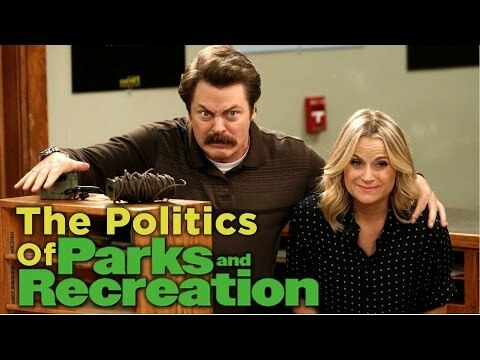 a video telah ditambahkan: The Politics of "Parks and Rec"
What book did Kelly Larson insist Leslie include in the Pawnee time capsule? tampil is even better the detik time.